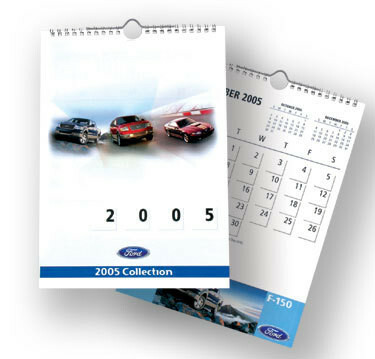 Advertising area on the calendar at the bottom: 8-1/4" x 1.5"
Cover page layout, calendar, date grids & imprint colour (black) cannot be modified. The space reserved for advertising & images cannot be modified. Add $100.00 for Printed pre-production sample (each) (50% deductible with order). 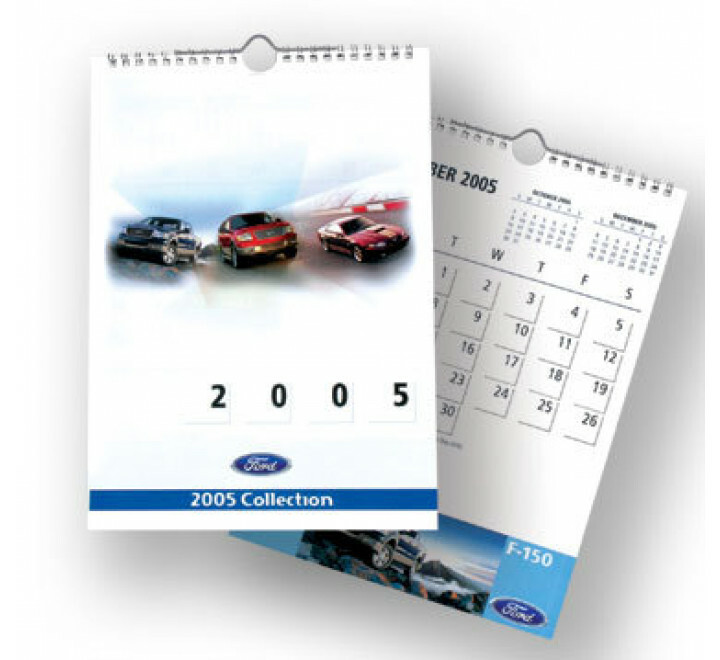 Add $0.40 each for Envelope 9" x 12"
Base pricing includes 7 sheets / 14 pages of card stock calendar with 4 colour process images, same advertising areas & imprint in 4 colour process at the bottom of the calendar & on each page. Choose from our 3 different models available in either English, French or bilingual.